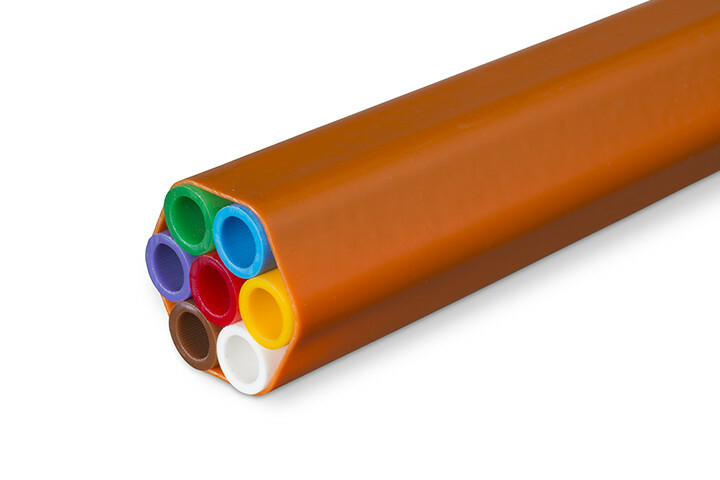 Electroplast also produces special microtubes for fibre optic connections to the home. We combine these into a composite product that fully meets your requirements and specifications. 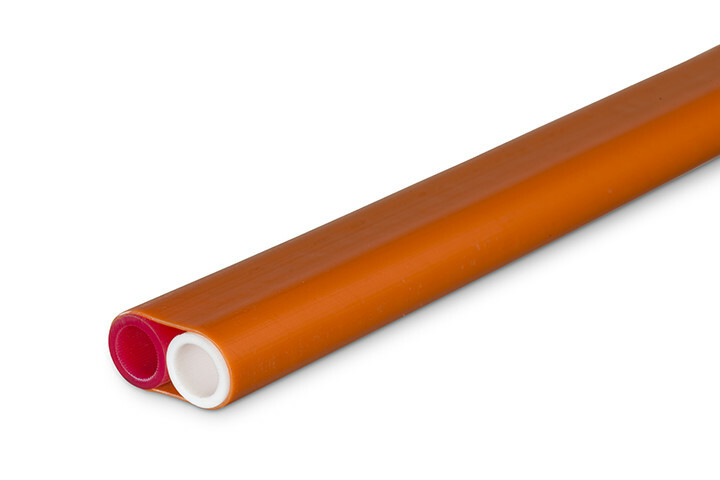 The HDPE tubes have internal longitudinal grooves. 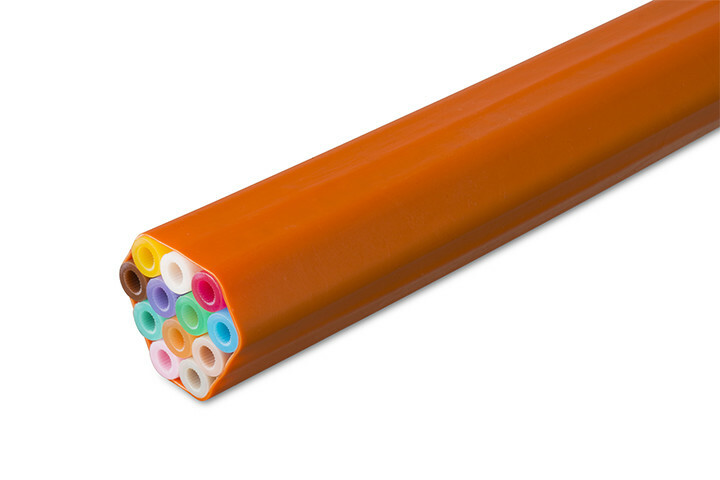 A special inner wall makes blowing in the fibre optics cable very simple. 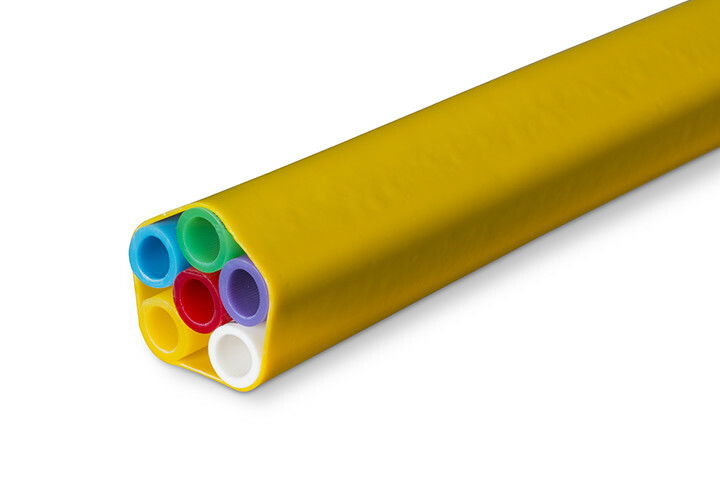 Thanks to a relatively thick outer wall the tubes can be used directly into the ground as a composite product. By means of this so-called direct buried application, an additional protection tube is not necessary. Special inner wall ensures a fast feed through of fibre optic cables. 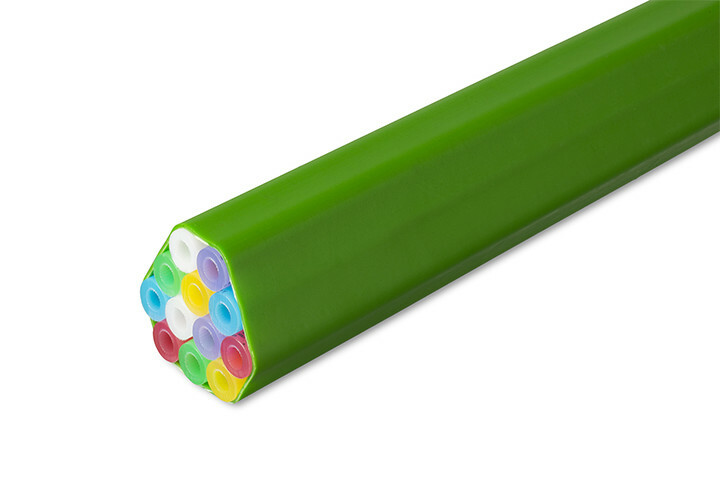 Robust tube of high quality. Branching of the bundle to the house without Y-pieces. No extra protection sleeve necessary. 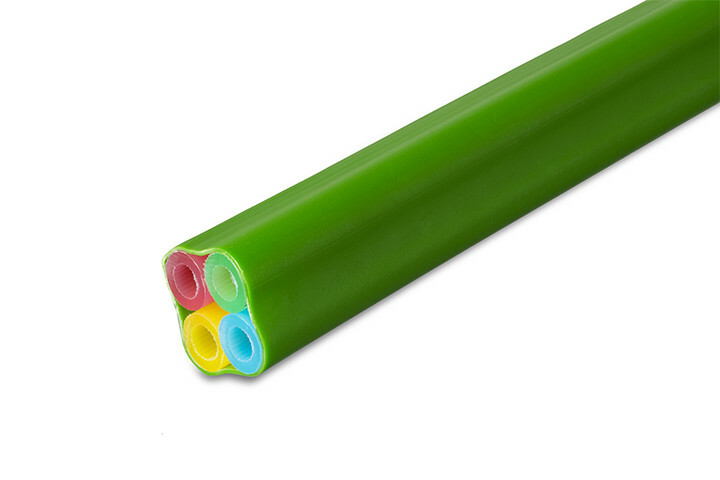 You can order tubes from us in various dimensions. The composite product has a jacket of at least 0.6 mm in a colour to your requirements. 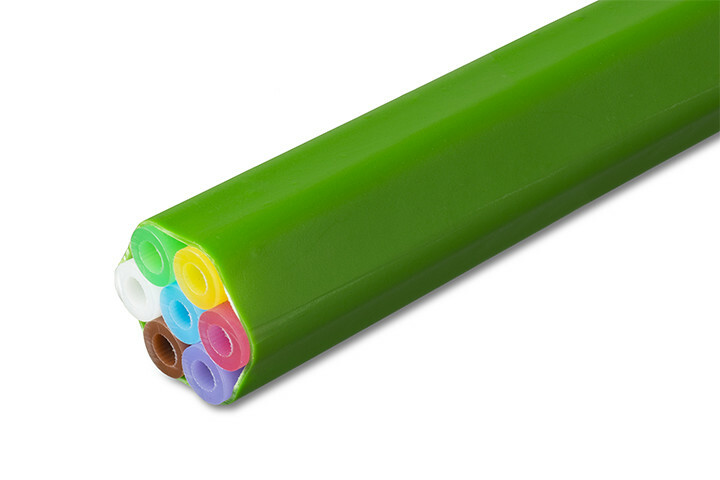 The available tube colours are red, orange, blue, light blue, yellow, green, violet, white, grey, brown, beige, and turquoise. Marking with a text print is possible in accordance with your specifications. You receive the composite tube on wooden reels, type 1855. The tube length on the reel varies from 700 to 3.000 metres, depending on the composition of the product. Do you require other diameters and compositions? Please contact us about the possibilities.